eNews is published every Thursday. It is sent out via email to anyone who would like to receive it. 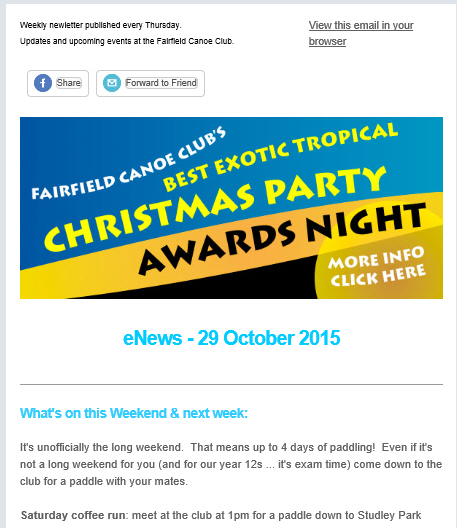 eNews contains information about our club and the Canoeing and Kayaking community. Click here to Subscribe to eNews now. You can Unsubscribe here at anytime. Old copies of eNews are available via our eNews archive page.